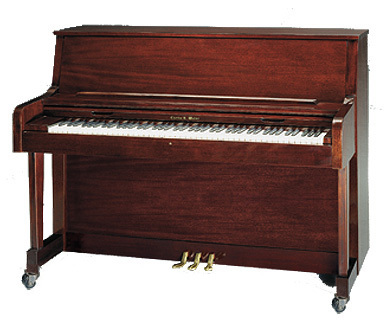 The Charles R. Walter studio piano is an American hand crafted piano like all of the Charles R. Walter pianos. 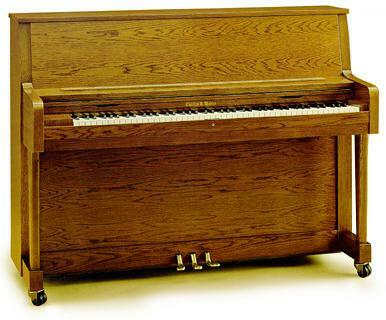 ALL of the Walter Pianos are made of Only the best materials mostly from AMERICA AND GERMANY. For example our cast iron plates come from O.S.KELLY IN OHIO owned by Steinway. Only a few companies in the world can say that. Studios are 45 inches in height and are available with Renner or Walter actions and are available in all woods and finishes. The bass strings are longer than most other 50-52 inch brands like Kawai or Yamaha. 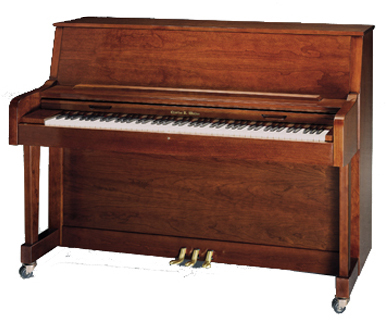 So if you are thinking of only a 48 inch or bigger piano you should consider the Charles R. Walter piano as a marvelous American choice. This rich oak is versatile and durable. A popular choice for schools and churches. This popular walnut finish is available in high polish, semi polish and satin. The ebony studio is available in polish, semi polish, and satin. And all the studios are available with brass casters. The cherry studio is available in polish, semi polish, and satin. And all the studios are available with brass casters. The gothic oak studio is a superb choice for churches. And all the studios are available with brass casters. 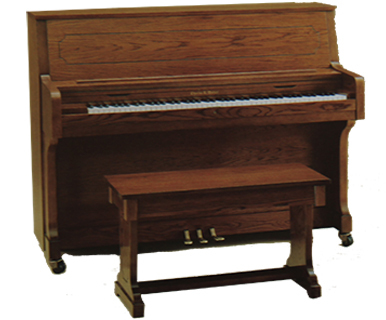 The mahogany studio is available in red or brown mahogany in polish, semi polish, and satin. 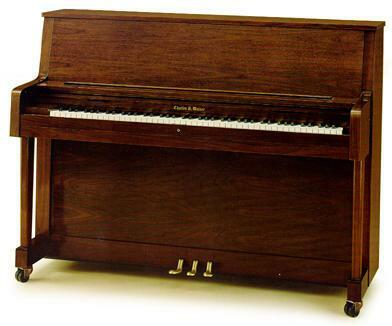 All of the features built into the W-48 scale are also found in the studio piano. The fallboard lock is standard equipment; top locks are available on special order. Available in Ebony, Oak, and Walnut in either High Polish, Semi Polish or Satin finish. Also available in Oiled Oak and Walnut. 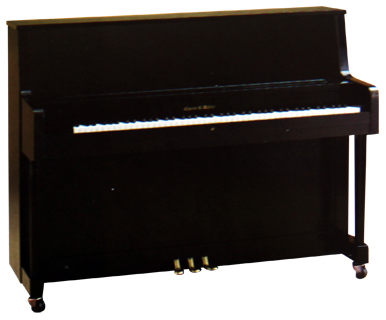 The ideal piano for schools, churches, auditoriums, homes, rectories, professional studios, practice rooms, theatres, colleges, and universities. Height 45", depth 24 3/4", width 58 1/2"
Height floor to keybed, 24 5/8"
Warranty 12 YEAR FULL WARRANTY against defects in parts, materials and workmanship.